** Please, do not begin fasting without any research. This is only an informational article about the matter. If you are suffering from any medical condition, fasting may not be recommended. Study the positive and negative effects of fasting before going through with it. 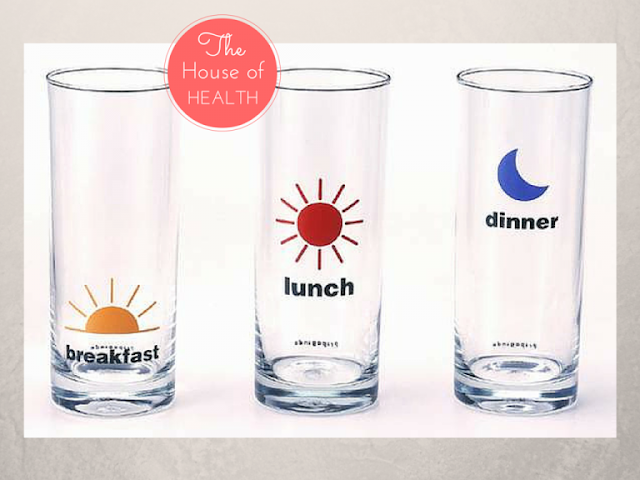 Fasting is a process of withholding or abstaining from food (and sometimes drinks) for longer periods of time. It is a tradition that is centuries old, and established in many cultures around the world for various purposes and reason. The reasons may have health and spiritual background, which will be analyzed further in this article. Nowadays, fasting means a situation where you don’t eat for a period of at least 8-12 hours. In fact, most of us are actually fasting every night when we are asleep. Every morning, we break our fast, that’s where the term “breakfast” derives from. Animals are a group of living organisms that is constantly fasting, mostly when they are sick or hurt. Actually, humans are the only animals who eat when they are sick and are consciously ignoring their body that tells them not to consume anything. “Everyone has a doctor in him; we just have to help him in his work. Unlike popular opinions, fasting isn’t hazardous or unhealthy and, if it’s done the right way, it’s incredibly healthy and beneficial. By fasting, the body is lacking its normal source of energy and food which are transformed into glucose. The liver stores lots of sugar, in a form called glycogen, which is kept for energy when the body isn’t consuming or receiving any of food. Most of this energy source is exhausted within the first 24 hours of fasting. Next, the body engages itself into a state known as ketosis, where the body’s fatty acids are being used as energy in replacement of the exhausted glucose levels. This adjustment usually begins on the second day, and it is ending on the third. During this time, the body converts glycerol, which is found in the body’s fat stores, into glucose for energy –however, this is not yet sufficient. The additional energy for the body is found by breaking down the amino acids in muscle tissue, which the liver uses to create more glucose for energy. When this process ends, ketone production is found in enough sufficient amounts to provide almost all of the energy the body needs, and the body begins to preserve large amounts of protein. Thus, the body is able to preserve this protein in order to protect muscle tissue and vital organs from damaging during long periods of food withdrawal. Fast which last longer than a week, result with the body seeking out non-body protein sources of fuel, like nonessential cellular masses such as degenerative tissues, bacteria, viruses or anything else in the body that can be utilized for energy. By conservation of the body’s protein the muscle tissue and vital organs are protected from damage during periods of food deficiency. In the time of fasting, the body is trying to remove toxins and regenerate the damaged tissues, just like when we are sleeping. Numerous scientific studies have demonstrated various perks of fasting. Research show that short term fasting can prolong your life, improve immunity and regenerate stem cells. The list is endless. One of the most recent studies published on the subject, was done in the Journal Cell Stem Cell. It discovered that fasting 2-4 days in a row can seriously reduce the number of white blood cells. By this, fasting destroys old and impaired immune cells, and when the body reboots it uses stem cells to create fresh, totally healthy cells. Human clinical trials have been implemented during the study and patients who were treated with chemotherapy were involved. The study showed that fasting can be very effective in fighting cancer. “Chemotherapy induces notable collateral damage to the immune system. “We were unable to sustain that prolonged fasting would have such an incredible effect in encouraging stem cell-based regeneration of the heatopoietic system. If you are starving, the system is making efforts to save energy, and one of the things it can do to save energy is to reprocess a lot of the immune cells that are not required, especially those that may be impaired. The noticeable thing about both our human work and animal work is that the white blood cell number decreases with long-term fasting. One scientific analysis of various scientific studies about fasting was published in The American Journal of Clinical Nutrition in 2007. It studied a multitude of human and animal research, and came to a conclusion that fasting is a productive and effective way to lower the risk of cardiovascular diseases as well as cancer. It also demonstrated an amazing potential in treating diabetes. Scientists at the National Institute on Aging, supervised by Mark Mattson, a professor at the school of medicine, have published a couple of articles that analyze how fasting two times a week could immensely decrease the risk of getting both Parkinson’s and Alzheimer’s disease. He describes how fasting encourages two messaging chemicals that function at the cellular level and are essential for the growth of brain cells in both animals and humans. Fasting may appear so severe that it will motivate the brain to create new brain cells, and neurons are insisted to grow and the brain becomes more resistant to protein plaques that are seen in cases of Alzheimer’s, or the damage created by Parkinson’s. “Alterations in your diet have affected the brain tremendously. Children suffering from epileptic seizures have only a couple of them when placed on caloric restriction or fasts. The theory is that fasting enables some protective measures to occur, which help counteract the overexcited signals that epileptic brains often demonstrate. Researchers and scientists are still trying to reveal evidence that short term fasting is productive and healthy for the body. Regardless of these evidences, present medical statements remain the same as before, since there are many human studies that show that a diet of at least 2000 calories a day is the best method to follow. As previously implied, fasting has been practiced for thousands of years by a lot of cultures all over the world. There, it is not solely used for health benefits but also for connecting with the human’s soul and God, the Creator or whatever you want to call it. As such, fasting appears in plenty of texts, religions, beliefs, native traditions and in many ancient civilizations. “Fasting will bring spiritual rebirth to those of you who cleanse and purify your bodies. The light of the world will illuminate within you when you fast and purify yourself. Many people who practice fasting experience a sense of relief, ease and pleasantness. It is not recommended only for dieting and losing weight, but also for feeling more positive, light and peaceful. People often claim that their energy level increased by fasting in so many levels. The spiritual aspect, however, is closely connected to depriving yourself from food, giving up the foods you like and the feeling you get in return is indescribable. Many people have experience a close connection to their inner emotions and soul, and a sense of satisfaction and pride follows as a result. But, doing a scientific research is also very important in fasting, and consultation should be made before initiating it. ***When you are ending your fast, you need to learn how to do it. It is not about rushing and overeating later. Take it slow and accustom our body step-by-step into receiving food and drinks again. Try to consume as much vegetables and fruits after.